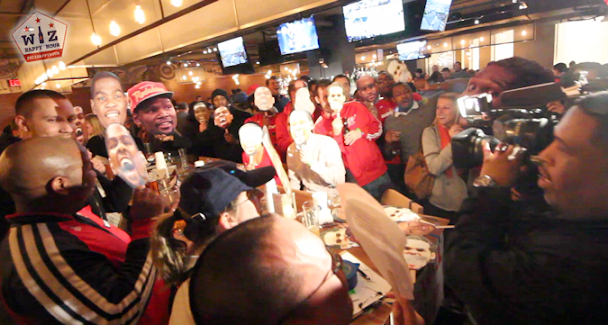 Kevin Durant is making his final appearance at Verizon Center before he hits the free agent market and Wizards fans are looking forward to making one final push for KD to come back home to DC. We will be meeting up before AND after the game for Penn Commons. $5 CraftBeer/Wine/Cocktails before and after the game! 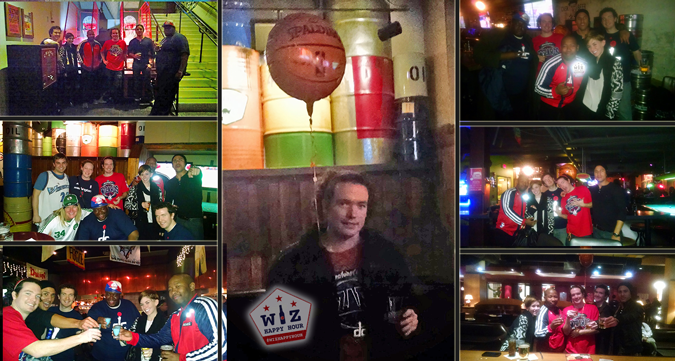 And join us for the Wizards toast 10 mins after the buzzer! 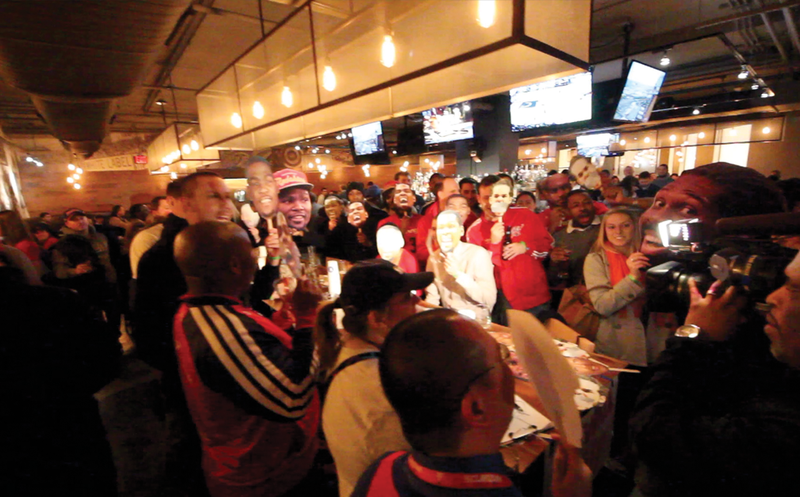 The Wizards are hosting their first "Bar Tour" of the season. These events are poorly run, so Wiz Happy Hour takes over and does the bar crawl right. 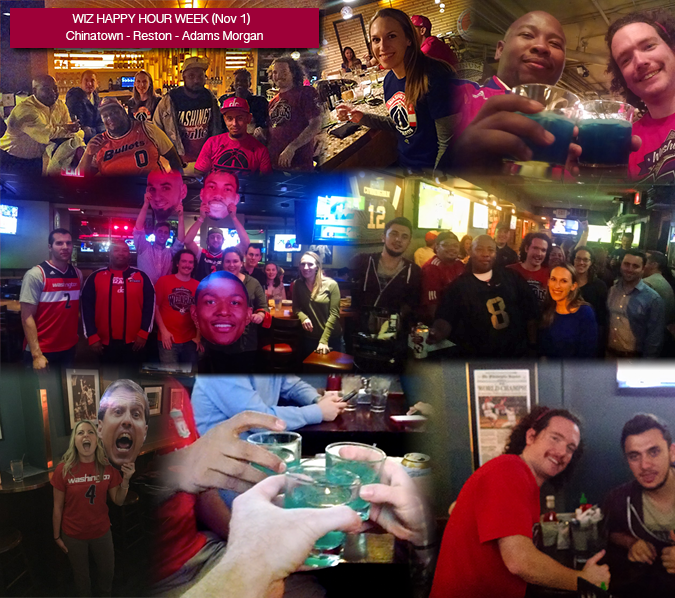 We will meet at Penn Social and hit up all 5 bars along the way before heading into the game! 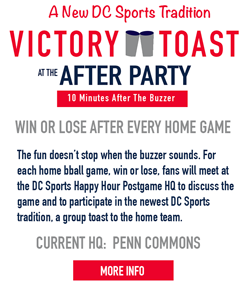 After the game we will meet up at Penn Commons 10 minutes after the final buzzer for the Wizards toast. I hope you can make it out to one of our great events this week. The Wizards need our support after 2 rough losses! See you out there & Go Wiz!! !